Access bonds have different rules so it is important to understand how yours works. Last month Standard Bank customers received notification that they could choose between two different types of access bonds. 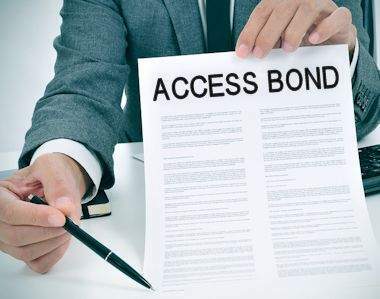 While this caused some confusion, it highlighted that most people don’t really understand how their access bond works and how to maximise its benefit. Most people use an access bond as a place to store extra money: by paying in more than the required montly repayment amount, the interest you pay on your mortgage is reduced, but the access facility means that these excess funds are available for you to withdraw if needed. So, for example, some families use this facility to save up to pay their annual school fees as a lump sum. 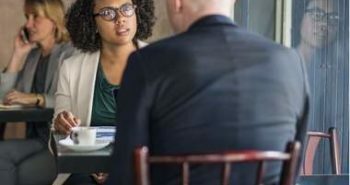 Andrew van der Hoven, head of Home Loans at Standard Bank, says the bank found that in this scenario, people were not always clear on how amortisation works and how much of those additional payments translated into a withdrawal facility. Depending on how your monthly repayments are calculated, the additional payments may not be fully available for withdrawal and your mortgage period may not be shortened. In the case where your additional contributions result in a reduction of your monthly bond instalment, the term of the loan remains the same. Although you are not paying off your mortgage any sooner, you do save interest, as interest would be calculated on a lower outstanding balance. Paying a lower monthly bond instalment, however, means that a portion of your additional contribution will fund the capital part of the mortgage not covered by the lower instalment. You will still be able to withdraw available funds but they will reduce over time as you are taking this benefit in a lower monthly instalment. For example, if you made an additional payment of R100 000 into your R1 million loan in year five (60 months), after a year the available balance you could withdraw would have reduced to R96 968. In the case where your additional contributions do not reduce the monthly bond instalment, which remains the same as in the initial agreement, you will pay off the loan sooner if you do not access those additional funds. The amount available for you to access will grow each month as you will be paying off more capital. 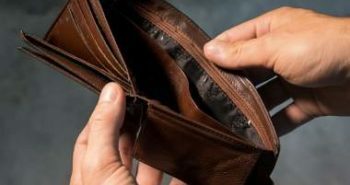 In the same scenario of a R100 000 deposit in year five, after a year, the available balance you could withdraw would have increased to R110 471. Standard Bank has provided for two different types of access bonds where a customer can decide whether their goal is to pay off the loan sooner and save, or if they want to use the additional contribution to reduce their monthly repayment while still having a portion of those additional funds as funds to access. Standard Bank allows customers to switch between these options once a month, however, van der Hover says that most existing customers have gone for the second option ‒ lowering their instalments ‒ which could be a sign of that households are getting more stressed and need to manage their monthly cashflow. The two different payment options provide a great illustration to understand how your access bond works. Note that if your bank automatically reduces the monthly bond instalment after an additional contribution, you will have to top this up each month to the original instalment in order to pay off your loan sooner. The original access bond was introduced in the early 2000s and allowed a customer to borrow up to their original credit facility right until the end of the term. For example, if you had applied for a R1 million mortgage against your home and had paid it off, in month 239 technically you would be able to borrow the full credit facility of R1 million. People used this as a cheaper way to access finance, especially for cars. Most people think access bonds still operate in this manner, but most banks have changed their offering. Van der Hoven says the problem was that customers did not always understand the implications of this withdrawal, incorrectly believing that they would just pay the regular monthly instalment. In reality they would have to pay back the full withdrawal within the amount of time left on the loan agreement. So, in the case of a withdrawal of R1 million in month 239, the full R1 million would have to be repaid the next month (month 240) as that was the end of the term of the loan. If you still have an access bond that allows you to borrow up to the initial credit facility, understand the implications of using that credit limit. Any credit you use will have to be paid off in the number of months left on the term of the loan. Most banks now require you to reapply for the original loan amount as a re-advance, and undergo an affordability test to ensure you can afford the monthly repayments. You can also elect a new period for the loan. FlexiReserve allows customers to access funds that they have already paid over and above the minimum monthly payment on their home loan, i.e. additional funds that are over and above the minimum required monthly payment on their loan. Additional funds paid in will not automatically lower your monthly repayment, unless you capitalise the extra amount paid in advance and ask the bank to recalculate your repayment. FNB’s Flexi option provides the ability to deposit surplus funds and further allows electronic access to these funds 24 hours a day. Monthly instalments remain the same throughout the term of the loan so surplus deposits remain available. The NedRevolve facility on the Nedbank home loan enables clients to access any surplus funds that accumulate over time when they pay more than the minimum instalment or contribute a lump sum into their home loan account. Any additional funds deposited can be withdrawn whenever the customer wants. The monthly instalment does get adjusted and is recalculated monthly where additional funds have been paid in. Access Bond link option 1: The instalment will not reduce when funds are prepaid into the account but will result in the loan being paid off more quickly if additional funds are not accessed, saving the customer interest. The amount available for you to access will grow each month as you will be paying off more capital. Access Bond link option 2: The instalment will reduce when funds are prepaid into the account, resulting in the term of the loan remaining the same. You will still be able to withdraw available funds but that amount will reduce over time as you are taking this benefit in a lower monthly instalment. Previous postAfraid to ask your adviser about fees? That’s weird. I want to know when is the right time to pay your extra in ones mortgage in order to reduce interest. It is with the monthly mortgage instalment or some where during the course of the Month? I have a flexi access bond account with FNB. On 11 March I had R64 118.37 in that account and on the same day FNB deducted the yearly homeowner insurance premium of R15 500.00. The access amount went down but to my surprise when I get the statement the monthly insurance premium is added to the monthly bond repayment. I want to know if FNB is double charging me or not as my flexi account is in credit. I have not paid extra into my bond, due to looking after extended family. May income has doubled in the last few years, the family is sorted and now looking at taking out a second bond to buy a house and rent that that out. What are the chances of banks approving for this reason? Any advice in this regard will be greatly appreciated. The bank would only look at your current income to see if you could afford the additional mortgage – they would not take potential rental income into account. This is due to the affordability rules of the National Credit Act. Hi, thank you so much with the information. I’m also thinking of buying a house in 2019, is it compulsory to have a deposit if I’m the first time buyer? The second question would be is it possible to do joint bond as 4 friends. We’ve got this idea of buying a house or flat and rent it out. What are the disadvantages of this route? As a rule banks prefer you to have a deposit, you may also qualify for a better rate if the bank can see you have the discipline to save. For your own finances it is a good idea to rather save a deposit as it makes the house more affordable.